Thanks to the Aurora Historical Society (AHS) for this exhibit of pictures. The ACTC Board was represented on the AHS Pan Am Program Committee that sponsored the Tennis in Canada Exhibit which featured these series of pictures. 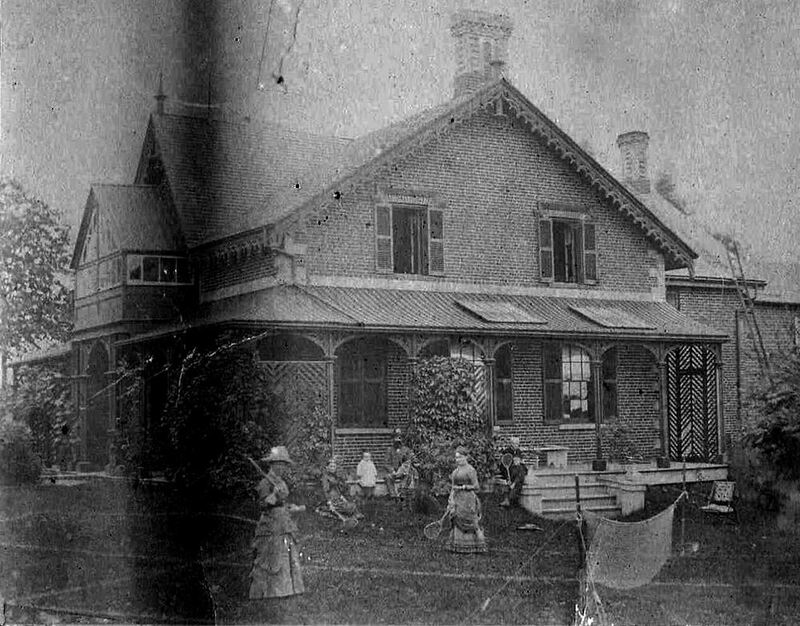 This is the earliest known image of the Hillary House Lawn Tennis Court. 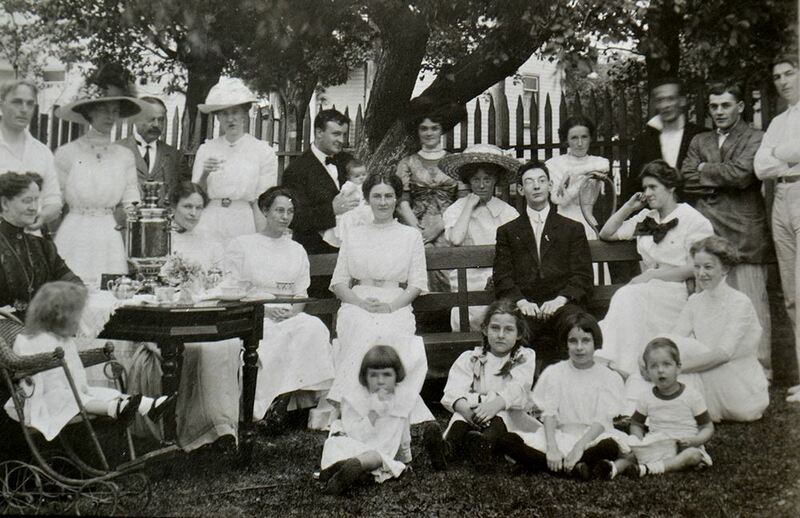 It features men, women, and children playing tennis on the North Lawn of Hillary House c. 1890. 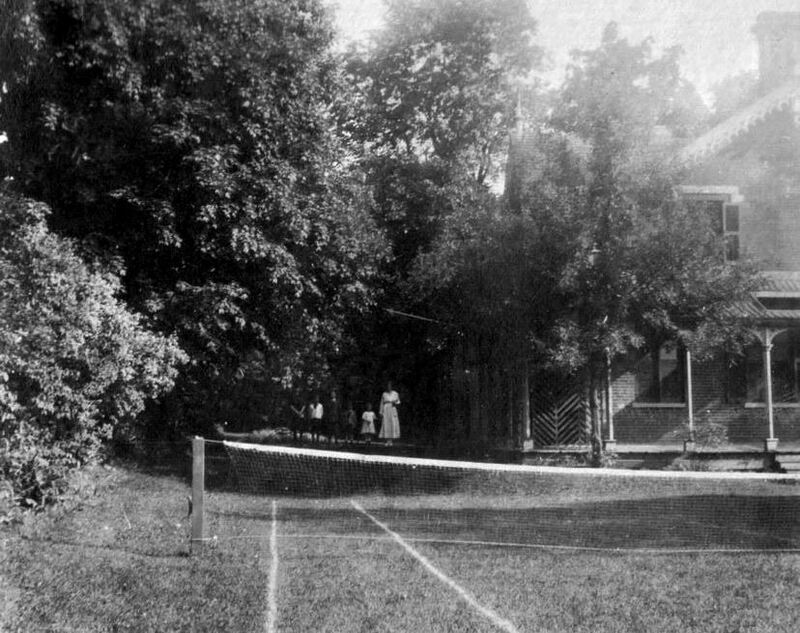 The earliest version of the tennis court in this location was on an angle. By 1910 the court was reoriented to its current position. 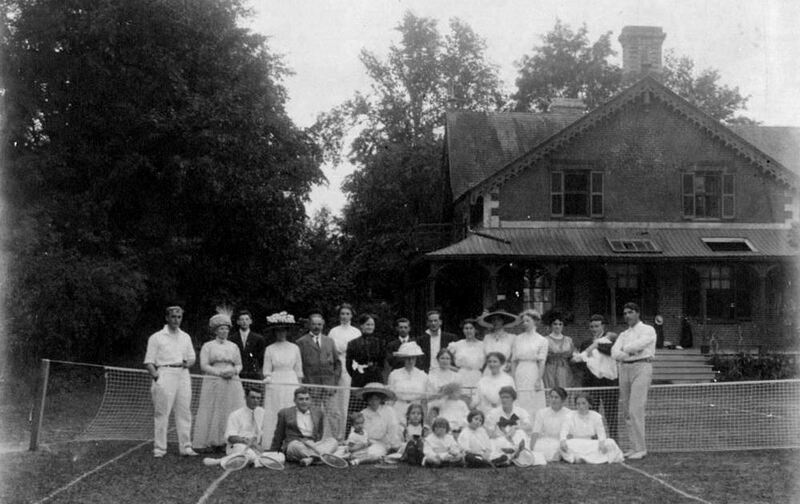 Aurora Lawn Tennis Club 1913 gathered on the court at Hillary House. 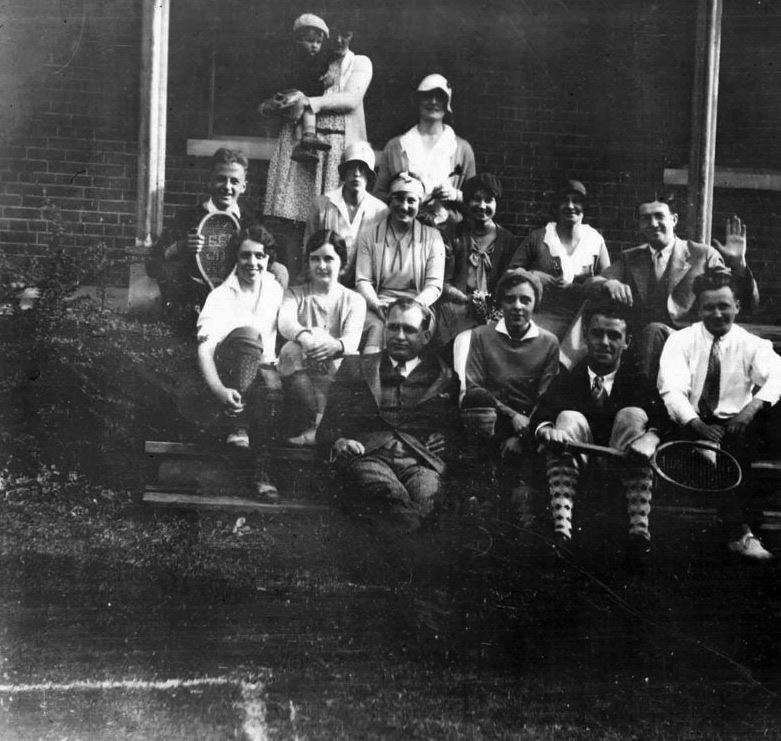 Aurora Tennis Club 1930 gathered on the Veranda at Hillary House. 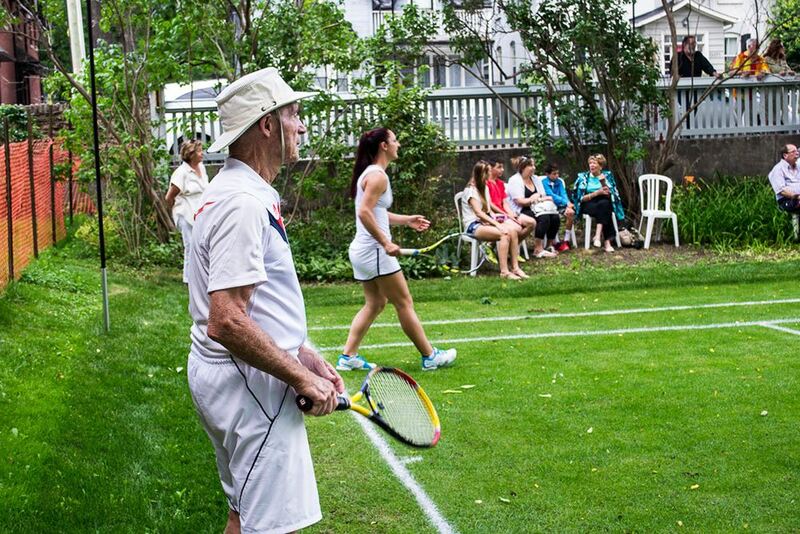 First ever Canadian Pan Am Tennis Medal Winner, Bob Bedard, playing with recent Canadian Pan Am Tennis Gold Medal Winner, Gaby Dabrowski on the recreated Lawn Tennis Court on the Hillary House North Lawn on July 18, 2015. 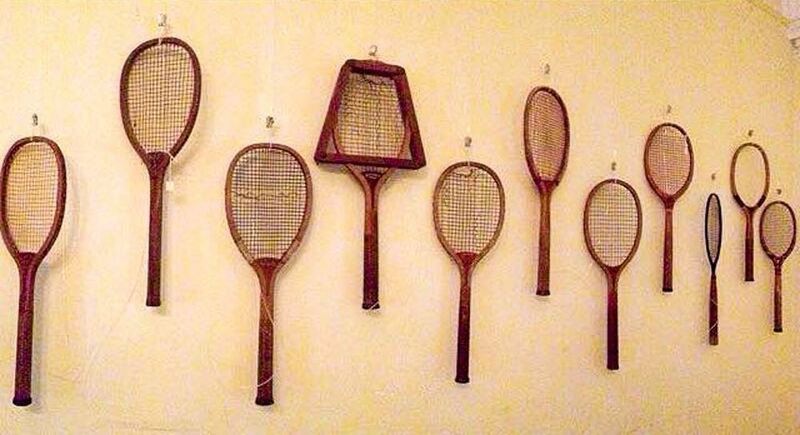 Exhibit at Hillary House, Tennis in Canada: From Early Beginnings to Global Success.Display of tennis rackets in the exhibit ranging from c. 1890 to c. 1930. 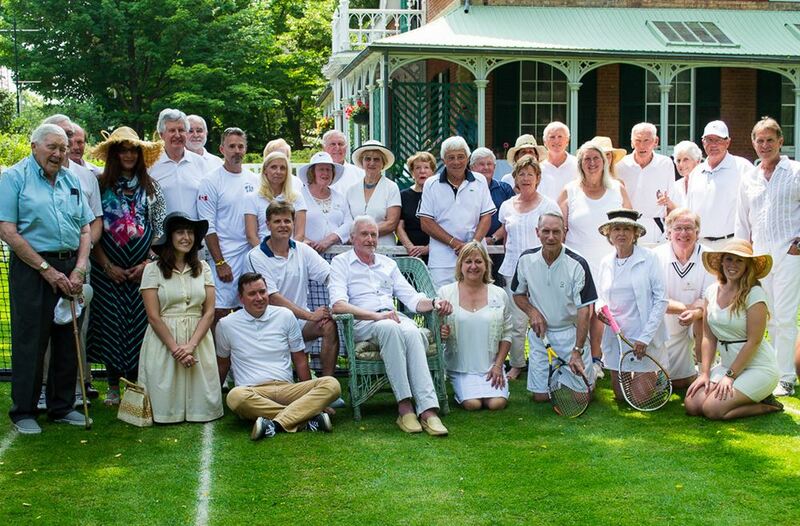 Recreation of the 1913 image of the Aurora Lawn Tennis Club taken on July 6, 2015 on the recreated Lawn Tennis Court on the Hillary House North Lawn.